Food is something that brings people together. Whether it is a corporate event, a birthday celebration or a wedding, you can always count on connecting with familiar and new faces through a shared meal. 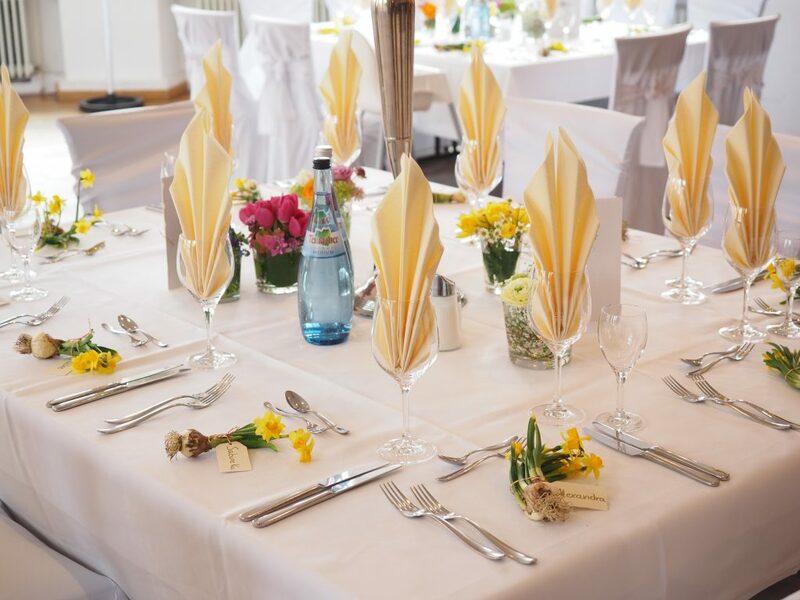 It can be stressful, however, for those with dietary restrictions attending large, catered events as they may not be able to indulge in all of the wonderful dishes provided. Food is a personal experience for everyone. At Argyle Catering, we want to make sure everyone attending the events we cater has an equal opportunity to eat the meals we serve. To ensure the guests at our catered events can enjoy more than just our side options, we have a vast menu that is not only friendly to those with dietary restrictions, but tastes sensational. For our vegetarian guests, we provide a multitude of varying dishes to satisfy all tastes and preferences. To start, dig in to our spinach artichoke dip or our assortment of fresh vegetables. Our salads are almost all vegetarian friendly except for our Italian and seven layers. Follow this with our creamy penne alfredo or veggie lasagna. For pescatarians, we have fantastic fish options including shrimp cocktail and baked cod. Many people are becoming gluten free to treat certain illnesses such as celiac disease and other health conditions induced by gluten. It is important for all of our guests to feel comfortable as well as remain in good health while enjoying our dishes. A shrimp cocktail or our chicken satay is a wonderful way to start. For the main course, try our aromatic lemon pepper chicken or our bold herb roasted pork loin. Pair either of these with parsley buttered potatoes or green beans almondine to create a savory meal. To adhere to the dietary needs for those with diabetes, we have a selection of tasty, low carb options. Our cocktail dollar rolls or shrimp cocktail make excellent appetizers. Our spinach salad is a fantastic choice for adding some green on your plate. For a lean protein as the main course, try almost any of our chicken dishes. If you are wanting something other than poultry, indulge in our smoked pork chops for a warmer flavor. Our list of veggies for sides include everything from a sauteed medley to glazed carrots to southwestern-style corn. Vegan diets are becoming more and more prominent as people are turning to dietary changes rather than medicines to remedy certain health concerns. Here are some of the vegan friendly options we provide at Argyle Catering. For appetizers, we have stuffed mushrooms as well as a seasonal fruit tray. We have many salads to choose from like our delicious spinach salad or our garden salad. Our vegetable and potato sides are endless! From roasted garlic potatoes to our California vegetable blend, you can’t go wrong with any of them. Argyle Catering will happily accommodate a vegan diet with the most seasonal and fresh ingredients to create a tasty entree for your guests. Have any questions or concerns? Just ask us! Contact Argyle Catering to begin planning the catering for your next big event!